As a boy, Kenneth Guilmartin ’67 couldn’t carry a tune in a bucket. His kindergarten teacher labeled him a “crow” and asked him to mouth the words instead of singing with the other children. It was only in his 20s that he learned to sing, taking remedial voice lessons to keep pace with his burgeoning musical career. Today, kids from China to Croatia are singing Guilmartin’s tunes. 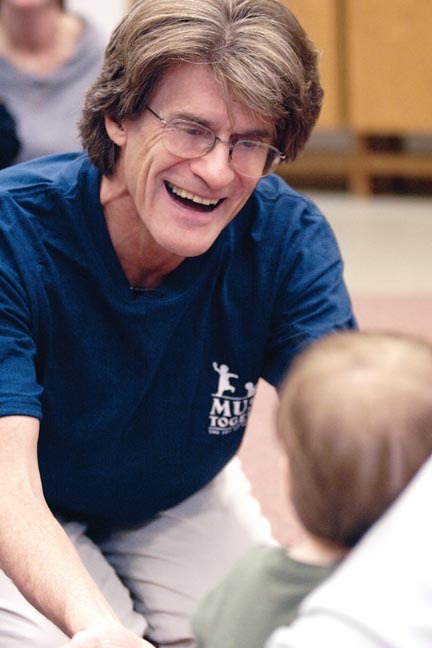 He is the founder and director of Music Together ®, an innovative, research-based music program for children from birth to age six. Launched in 1987, Music Together has blossomed into a global phenomenon in the toddler and preschool world. You can find Music Together classes in 2,000 communities worldwide, including nearly all 50 states and 26 foreign countries. Guilmartin considers music to be every child’s birthright. “Tone deaf does not really exist,” he says. “It’s just a matter of education.” Children are wired to absorb their native music as easily as they master their native language. But this natural musical ability fades if it’s not nourished. By age 9, an individual’s level of inborn musical aptitude becomes permanent in the human brain. Children can become more skillful at music, but the foundation is set for life. For those (like Guilmartin) who missed this critical window, it’s a struggle to catch up. What children need, he says, is music immersion in their daily lives. Music Together aims to reverse that trend. The first to admit he might be a “wounded healer,” Guilmartin devotes his life to giving children a good musical start. To do that, he and Lili Levinowitz, a professor of music education at Rowan University, co-created a playful program designed to help children gain “basic music competence”—singing in tune and keeping a beat. It also strives to put daily family music-making back in the home and give parents the tools to do it. Music Together embraces the whole family, inviting grandparents and siblings of mixed ages to class, with a special welcome for babies. “All of us are born with a personal pitch center,” says Guilmartin. Babies tend to cry, coo, and babble around an individual tone. If you find an infant’s natural pitch, she is more likely to respond or be soothed by a lullaby in that key. Soon, babies change their pitch to match a song, cooing back in the resting tone or the fifth, the dominant note. Mamlin discovered Music Together as a parent. She immediately liked its emphasis on play and its understanding of child development. 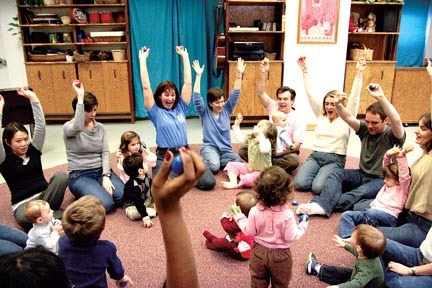 At Music Together classes, adults are asked to participate in all the songs and actions, but kids don’t have to. Children can walk, run, dance, put maracas in their mouths, or silently observe. Mamlin’s son, Charlie, then 2, spent entire classes falling down in front of a mirror. “I did have that feeling, ‘Oh, my gosh, what am I paying for here?’ But then we’d come home, and he would be chanting the songs and know the movements,” she says. Nonstop movement and giggles set the tone at Georgia O’Brien’s Music Together class in Traverse City, Mich. After a welcome song, “Hello Everybody, so glad to see you …, ” she launches into “My ball is big and blue; I’m rolling it right to you….” One song slides seamlessly into the next. Silliness rules. Georgia taps rhythm sticks on the floor to a wordless “bum bum” tune, then waggles them on her head like antenna, singing “bzz bzz buzz.” When she dumps out an enormous basket of instruments, the kids leap up as if it’s candy. Tanner, a jowly-cheeked toddler, beats a tambourine. Jacob, 5, clanks a “clatterpiller.” Moms and dads join in, striking triangles and clapping frog-shaped castanets. Whether it’s ball-rolling, finger plays, or dancing, movement is part of each song. 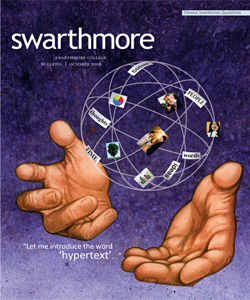 That’s partly due to Guilmartin’s background in Dalcroze Eurhythmics. Emile Jaques-Dalcroze, a Swiss music educator, believed children learn music best through playful movement. As children grow musically, they learn to audiate—to hear music internally. Leaving out a note in a familiar song like “Twinkle, Twinkle, Little Star,” for example, demonstrates how the brain can hear the next note before it arrives. Music Together believes that audiation is the key to music-making, and singing is the path to develop it. “Kids learn best from the unaccompanied human voice,” says Mamlin. A hallmark of Music Together is its meticulously researched song collections, which offer a rich musical diet. Sporting titles like “Bongos,” “Maracas,” and “Tambourine,” each 10-week collection exposes families to a range of music from around the world, including songs in minor keys, asymmetric meters, and songs without words. “Words can really trip kids up on songs,” says Mamlin. 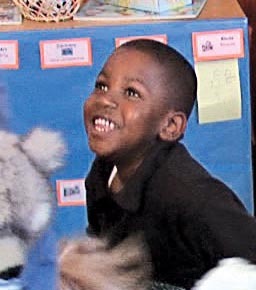 Music Together offers plenty of songs using vocables such as “doo doo doo” or “la la la.” These help children focus on pitch without the distraction of lyrics. Likewise, rhythmic chants help them hear the beat, and props like balls help them feel it. “It’s taking the pulse of the song and putting it into a big movement,” says Mamlin. Other songs include dog howls, sirens, or whoops that help lift voices out of the talking voice and into the upper register. Guilmartin and Levinowitz also pitch songs in a natural singing range for children (the A below middle-C to the D an octave higher) unlike most children’s music, which is pitched higher. This is music to Guilmartin’s ears. Besides the careful mix of meters and musical vitamins, Music Together wants to rekindle the joy of singing at home. If adults like the music, they will sing around the house the way families did before recorded music. “For eons, humans have made music together as part of daily life,” he says. “[Adults] need to set the model of being music-makers.” He laments the loss of music in schools, too, remembering the day when kindergarten teachers had to be able to play piano in order to get a teaching job. “There are still a lot of pianos in a lot of kindergarten rooms, but they’re out of tune, and almost nobody uses them,” he says. Or, as Guilmartin would say, let’s make music together again. When is Your Child Ready for Formal Music Lessons? Any Music Together groups in New Hampshire - especially Hanover or Concord or Laconia areas? AWESOME…as the new grandmother of twins I would love to get a hold of a cd if it is available. This article brought tears to my eyes & I thank you.